Pelles Fiske cooperates with Färsåns Fishing Camp - a camp which offers affordable accommodation in a peaceful and harmonious environment. The camp is located in the village Färsån, beautifully situated in the Ammerån river valley, about halfway between Ammer and Överammer. Some of the lower Ammeråns best fishing spots are within easy walking distance of the fishing camp, and one of the camp's cabins are found just along the river. 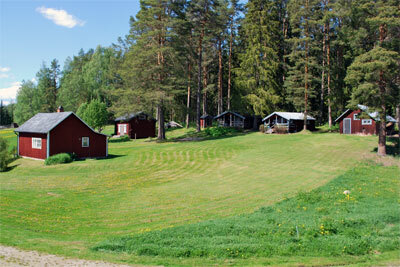 Visit Färsåns Fishing Camp´s website for more information and bookings; www.ammeran.com!